1 electric mixer, or a whisk if you are going to mix by hand. 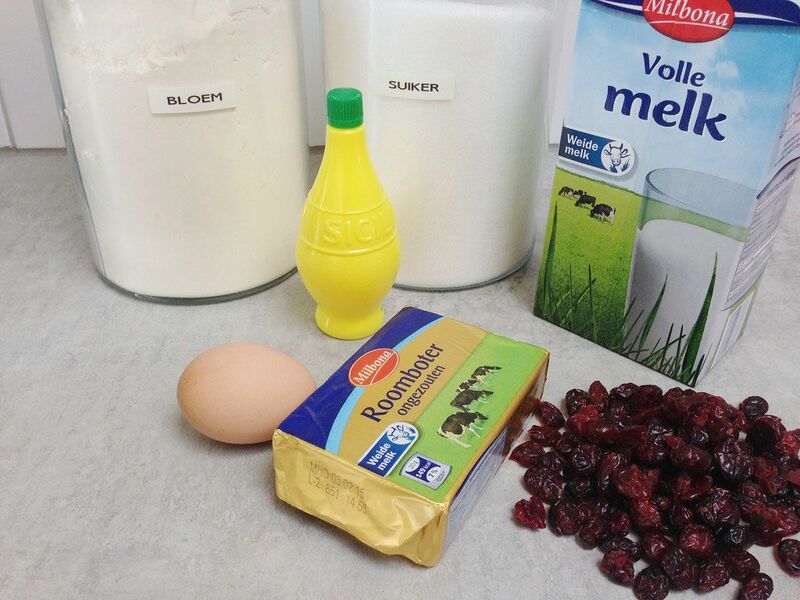 MIX the flour, sugar, egg and butter in an electric mixer. ADD lemon juice and milk to the mixture. Keep mixing until a smooth cookie dough forms. 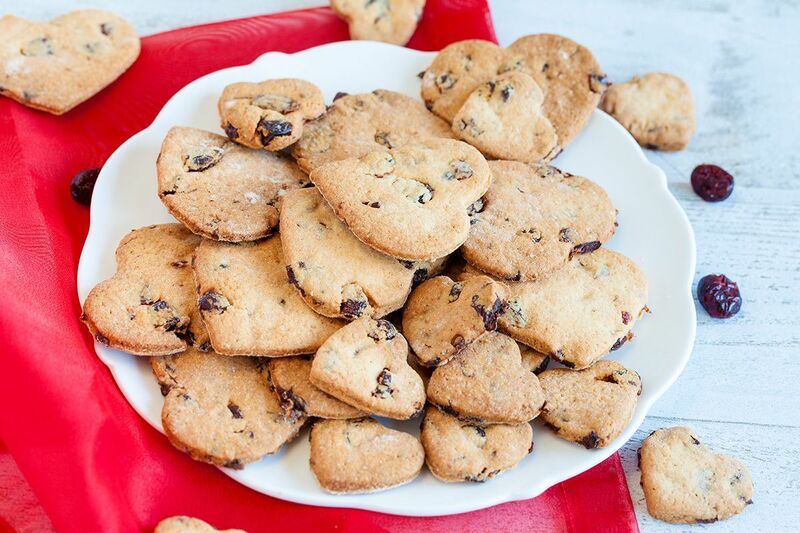 CUT the dried cranberries in smaller pieces and add them to the cookie dough, mix them well in the cookies dough. You don’t want a few of the cookies to contain almost all of the dried cranberries. SPRINKLE your countertop with a small handful of plain flour. FLATTEN the dough using a rolling-pin. Keep in mind that the cookies should be of a medium thickness, as seen in the pictures. If you decide to make the cookies thicker, be sure to check every now and then while baking. You now have a nice, spread out dough. 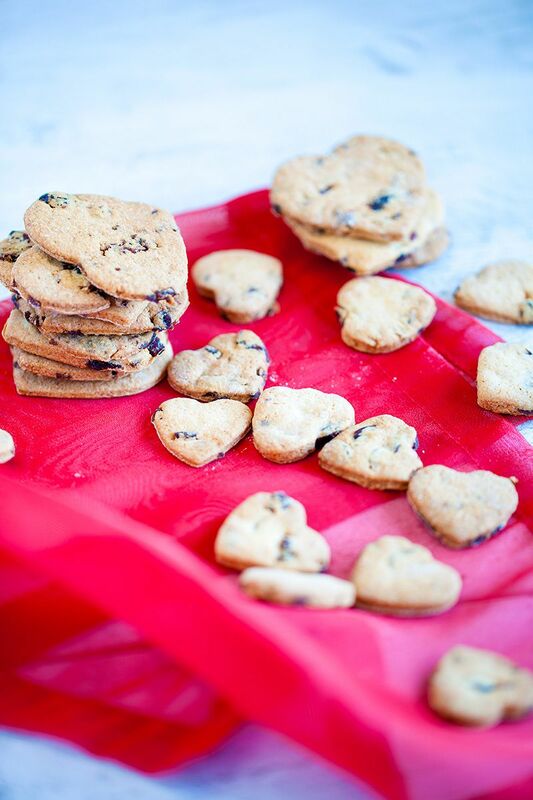 Use a heart-shaped cookie cutter to cut out the shaped. We found it fun to also make smaller hearts! Transfer the shaped to the pre-lined baking tray. Now for the easy part: baking the heart shaped cookies! PRE-HEAT your oven to a temperature of 180 degrees celsius or 356 degrees fahrenheit. PLACE the baking tray inside the oven when it has reached its temperature. Bake for 10 minutes, then check to see if the cookies are well done. If the cookies are done baking, transfer them to a cooling rack and let cool off. 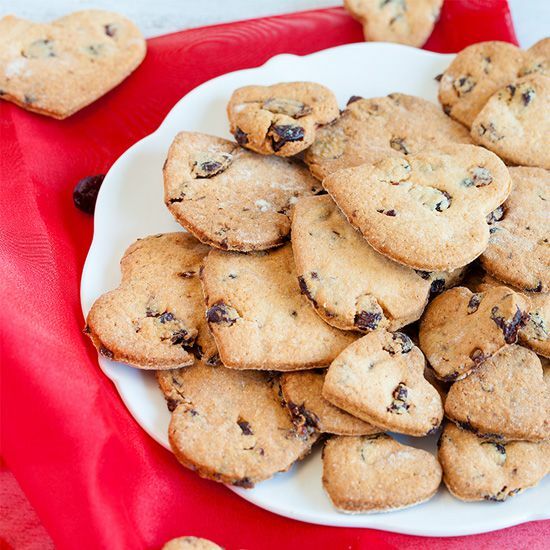 We love these cranberry cookies because they are so easy to make, and great for a lot of occasions like valentines day, mothersday, 4th of July, birthday parties and so forth. You name it! We’d like to know why you would like (or made) these cookies, please leave a comment below. Enjoy!